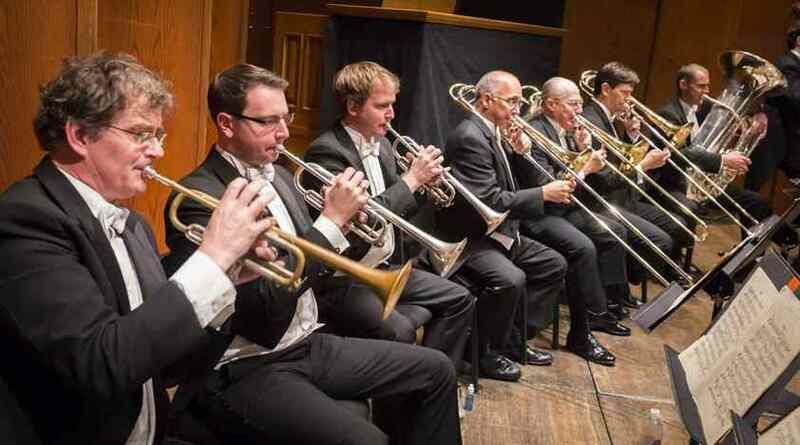 Celebrate the Lunar New Year with the New York Philharmonic. Experience Beethoven’s grand Choral Fantasy — reminiscent of his “Ode to Joy” — with 13-year-old pianist Serena Wang and the Farmers’ Chorus of the Yunnan Province — farmers from the mountains of southern China, appearing outside China for the first time ever. And we “play” Ricochet, featuring ping pong champions, violin, and percussion. 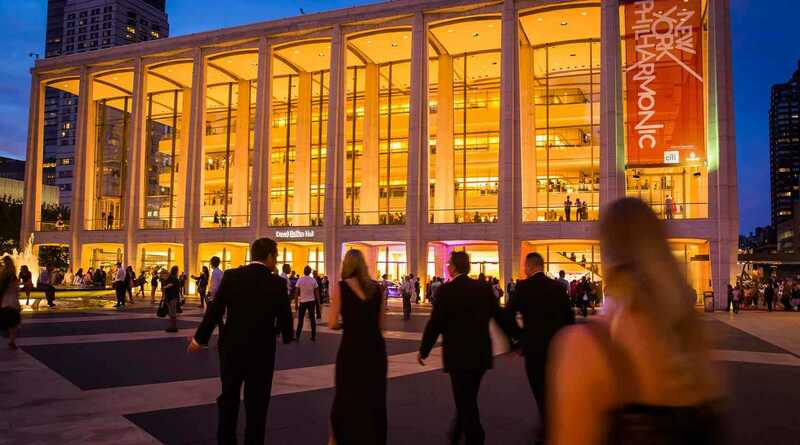 To enhance your experience by attending the Lunar New Year Gala evening, including a pre-concert champagne reception and a post-concert seated dinner with the artists, please contact specialevents@nyphil.org. Chinese conductor Long Yu is music director of the Shanghai Symphony Orchestra, artistic director and chief conductor of the China Philharmonic Orchestra, and music director of the Guangzhou Symphony Orchestra. He is also principal guest conductor of the Hong Kong Philharmonic Orchestra. Mr. Yu is the founder of the Beijing Music Festival and was its artistic director from 1998 to 2018. He is co-director of the MISA festival in Shanghai and founding president of the Shanghai Orchestra Academy, created through a partnership among the Shanghai Symphony Orchestra, Shanghai Conservatory of Music, and the New York Philharmonic. Mr. Yu has conducted a highly acclaimed list of orchestras and opera houses throughout the world, including the New York, Los Angeles, Munich, Hong Kong, and Tokyo philharmonic orchestras; The Philadelphia Orchestra; Orchestre de Paris; Hamburg Staatsoper; Philharmonia Orchestra; and the Chicago, Montreal, National, Cincinnati, Bamberg, Berlin Radio, MDR Leipzig Radio, NDR Hamburg, Sydney, BBC, and Melbourne symphony orchestras. As music director of the Guangzhou Symphony Orchestra, Mr. Yu has embarked on European and Egyptian tours with the orchestra, performing at Paris’s Théâtre des Champs-Élysées, Conservatoire de Luxembourg, Amsterdam’s Royal Concertgebouw, and Cairo Opera House. He continues to collaborate frequently with many of the world’s most celebrated soloists, such as Alison Balsom, Sumi Jo, Lang Lang, Yo-Yo Ma, Mischa Maisky, Maxim Vengerov, and Yuja Wang. In June 2018 Mr. Yu signed an exclusive recording contract with Deutsche Grammophon. As part of the label’s 120th anniversary celebrations in 2018–19, he conducted a launch concert at Beijing’s Forbidden City. Long Yu is a Chevalier dans L’Ordre des Arts et des Lettres and the recipient of the 2002 Arts Patronage Award of the Montblanc Cultural Foundation. In 2005 the Italian government honored him with the title of L’onorificenza di commendatore. He was awarded France’s highest honor of merit by joining la Légion d’Honneur in 2014. The following year, Mr. Yu was awarded the title “National Literature and Art Worker of Excellence ” by the Chinese government, the Global Citizen Award from the Atlantic Council, and the Samuel Simons Sanford Award from the Yale School of Music. Most recently, he was awarded the Order of Merit of the Federal Republic of Germany. Long Yu is currently vice president of the Chinese Musicians Association and a member of the 11th, 12th, and 13th National Committee of the Chinese People’s Political Consultative Conference. American table tennis player Ariel Hsing competed in the 2012 Summer Olympics. In 2010, at age 15, she became the youngest U.S. table tennis national champion in history, a title she won two more times: in 2011 and 2013. She is the first player from North America to win the Intercontinental Cup in 2012, which included participants from Africa, Latin America, North America, and Oceania. Ms. Hsing was a Bronze medalist in Women’s Team and Women’s Singles at the 2011 Pan American Games, and the Women’s Singles champion at the North American Championships in 2013 and at the North America Cup in 2011 and 2012. During her junior career, she was ranked as high as fourth in the world in both the cadet (U-15) and the junior (U-18) age group. In 2012 she won the singles titles at the ITTF North American Cup and the United States Junior and Cadet Open. She qualified for the 2012 Summer Olympics and was seeded 46th in women’s singles. In 2014 Ariel Hsing became the first American-born player in the China Table Tennis Super League, signing a contract with Zhejiang Jinhua Bank. Michael Landers has been playing table tennis professionally since the age of 13. He has represented Team USA, the United States’s table tennis national team, in three world championships; is the youngest U.S. men’s singles champion in history; and won the U.S. Olympic Trials in 2012. He is currently in his junior year at New York University’s Stern School of Business, where he is studying finance and psychology. In addition to table tennis, Mr. Landers’s other passion is playing music. Violinist Elizabeth Zeltser joined the New York Philharmonic at the start of the 2003–04 season. Born in New York City into a family of Russian musicians, Ms. Zeltser began her violin studies at age three, and made her New York debut at age five with the Mannes College of Music Orchestra, performing Vivaldi's Violin Concerto under the baton of Felix Kruglikov. At five, she also appeared on Israeli television with her father, Mark Zeltser, a renowned concert pianist. Ms. Zeltser studied at The Juilliard School with Dorothy DeLay. While a student, she won the prestigious Juilliard Concerto Competition, and later continued her studies at the Moscow Conservatory, where she earned her master's degree in music performance. Upon her return to the U.S., she enrolled at the Manhattan School of Music, where her studies were supervised by New York Philharmonic Concertmaster Glenn Dicterow, and by Orchestra violinist Yoko Takebe. Elizabeth Zeltser has appeared as soloist with numerous orchestras in the U.S., Canada, Italy, France, Russia, and South America. Her most recent performances included a European tour in Austria and Hungary with the St. Petersburg Symphony Orchestra. Ms. Zeltser speaks French, Italian, Russian, and English, and is an accomplished swimmer. David Cossin is a specialist in new and experimental music who has worked across a broad spectrum of musical and artistic forms to incorporate new media with percussion. He has recorded and performed internationally with composers and ensembles including Bang on a Can All-Stars, Steve Reich and Musicians, Philip Glass, Yo-Yo Ma, Meredith Monk, Tan Dun, Cecil Taylor, Talujon Percussion Quartet, and the trio Real Quiet. Numerous theater projects include collaborations with Blue Man Group, Mabou Mines, and director Peter Sellars. Cossin was featured as the percussion soloist in Tan Dun’s Grammy and Oscar-winning score to Ang Lee’s film Crouching Tiger, Hidden Dragon. He joined Sting for the world tour Symphonicities and has performed as a soloist with orchestras around the world, including the Los Angeles Philharmonic, Orchestre Philharmonique de Radio France, Saint Paul Chamber Orchestra, São Paulo State Symphony, Sydney Symphony, Gothenburg Symphony Orchestra, New Jersey Symphony Orchestra, Hong Kong Philharmonic Orchestra, and Singapore Symphony Orchestra. His ventures into other art forms include sonic installations, which have been presented in New York, Italy, and Germany. He is an active composer and has also invented several new instruments that expand the limits of traditional percussion. David Cossin is the curator for the Sound Res Festival, an experimental music festival in southern Italy, and he also teaches percussion at Queens College in New York City. Born in San Francisco in 2004, Serena Wang (also known as Wang Yalun) made her concerto debut at age six performing Haydn’s Piano Concerto No. 11 with the Shenzhen Symphony Orchestra, led by Zhang Guoyong, at the Third Beijing International Piano Festival. She has appeared with the China Philharmonic Orchestra; China NCPA Orchestra; Shenzhen, Shanghai, Vancouver, and Guangzhou symphony orchestras; Israel and Hong Kong Philharmonic orchestras; and the Orquesta Juvenil Universitaria Eduardo Mata. She has worked with conductors including Zubin Mehta, Gustavo Rivero Weber, Long Yu, Guoyong Zhang, Jia Lu, Yang Yang, and Qiyuan Zhu. First prize winner at China’s Second National Youth Piano Competition in Xiamen and Japan’s 15th Asia Chopin Piano Competition, she has performed in Russia, Finland, Italy, Switzerland, Israel, United States, Singapore, China, Japan, Taiwan, and Hong Kong. She made her debut recording on Channel Classics at age nine performing solo works by Mozart, Chopin, Liszt, Poulenc, Shostakovich, Tan Dun, and Zhaoyi Dan. In the 2016–17 season she joined the China Philharmonic Orchestra’s North American tour and performed with the Shanghai and Guangzhou Symphony Orchestras, Hong Kong Philharmonic, and with Guoyong Zhang and the Qingdao Symphony Orchestra. She also appeared at Italy’s 54th International Piano Festival of Bergamo and Brescia and performed in Tel Aviv, Jerusalem, and Haifa with Zubin Mehta and the Israel Philharmonic Orchestra. In 2017–18 she returns to the International Piano Festival of Bergamo and Brescia, joins Zubin Mehta on the Israel Philharmonic’s China tour in Suzhou and Harbin, makes her debuts with the New York Philharmonic and London’s Philharmonia Orchestra, and returns to the Guangzhou and Kunming Symphony Orchestras. Serena Wang began studying piano with Sumi Nagasawa in California in 2008. She returned to China with her family and continued her studies with Dan Zhaoyi in Chengdu in 2010. She currently studies with Meng-Chieh Liu in Boston. This performance marks Serena Wang’s New York Philharmonic debut. High lyric soprano Heather Phillips’s 2017–18 season begins with her Austin Lyric Opera debut as Micaëla in Bizet’s Carmen, followed by performances on the concert stage as the soprano soloist in Handel’s Messiah with the Boise Philharmonic, Orff’s Carmina burana with both the Boise Philharmonic and the Valley Symphony Orchestra in Texas, and her New York Philharmonic debut in Beethoven’s Choral Fantasy. Her future engagements include debuts with the Austin and Canton Symphony Orchestras, and her return to the Boise Philharmonic. During the 2016–17 season Ms. Phillips made her Arizona Opera debut as Nannetta in Verdi’s Falstaff, and her Opera Philadelphia debut, reprising the role of Katie in Jennifer Higdon’s Cold Mountain, which she created at Santa Fe Opera and on the Grammy-nominated original cast recording. She returned to Opera Philadelphia later that season for a new composer series, Double Exposure. She appeared as the soprano soloist in Mendelssohn’s Elijah with the Grammy-nominated ensemble True Concord, and returned to the Ravinia Festival and the Tucson Desert Song Festival as a recitalist in collaboration with pianist Kevin Murphy. Her other recent performances include Elvira in Rossini’s L’italiana in Algeri at Lyric Opera of Kansas City, Micaëla in Carmen with Kentucky Opera, Zerlina in Mozart’s Don Giovanni at Opera Southwest, Musetta in Puccini’s La bohème at the Crested Butte Music Festival, and Barbarina in Mozart’s The Marriage of Figaro at Cincinnati Opera. Colombian-American soprano Vanessa Vasquez, winner of the 2017 Metropolitan Opera National Council Auditions, is currently a fourth-year resident artist at the Philadelphia’s Academy of Vocal Arts, where she has sung Pamina in Mozart’s The Magic Flute, the title role in Donizett’s Lucia di Lammermoor, Mimì in Puccini’s La bohème, Gilda in Verdi’s Rigoletto, Donna Anna in Mozart’s Don Giovanni, and Giorgetta in Puccini’s Il tabarro. In upcoming seasons she makes debuts with opera companies across the country, singing her first performances of Micaela in Bizet’s Carmen and Violetta in Verdi’s La traviata. Ms. Vasquez made her professional opera debut in summer 2017 as Liù in Puccini’s Turandot with Des Moines Metro Opera. She has sung Countess Almaviva in Mozart’s The Marriage of Figaro with Oberlin in Italy and in Purcell’s Dido and Aeneas with the Astoria Music Festival. 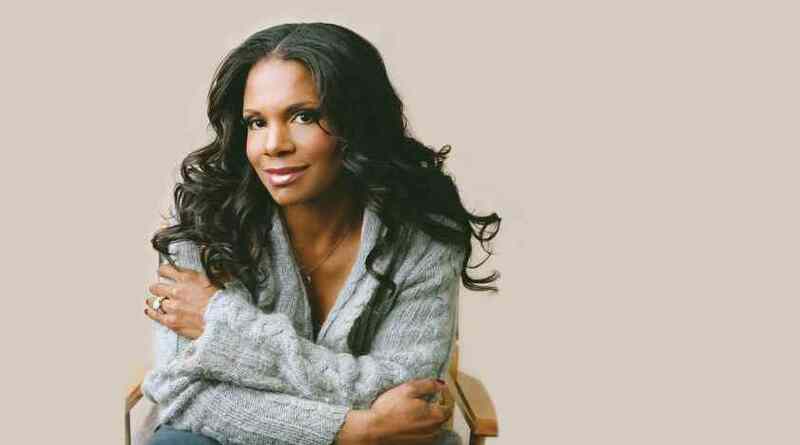 In concert, she made her Philadelphia Orchestra debut in J.S. Bach’s Nach dir, Herr, verlanget mich and with the New York Choral Society in Haydn’s Lord Nelson Mass. She was a featured soloist with The Philadelphia Orchestra and Yannick Nézet-Séguin for the Academy of Music 160th Anniversary Concert and Ball. Vanessa Vasquez is the recipient of a 2017 Sara Tucker Study Grant and First Prizes in the 2017 Gerda Lissner Foundation Competition, the 2016 Licia Albanese Competition, 2016 Giulio Gari Competition, and the 2016 Loren L. Zachary Vocal Competition, and First Prize and Audience Award in the Phoenix Opera Southwest Vocal Competition. While earning her master’s at UCLA, the Scottsdale, Arizona, native was Susanna in Wolf-Ferrari’s Il segreto di Susanna, Donna Elvira in Don Giovanni, and First Soprano in Handel’s L’Allegro. She earned her bachelor’s degree from the Catholic University of America, where she performed Suor Genovieffa in Puccin’s Suor Angelica and First Lady in The Magic Flute. In the 2017–18 season, soprano Sarah Mesko returns to The Metropolitan Opera as the Second Lady in Mozart’s The Magic Flute and Ines in Verdi’s Il trovatore, while covering Arsace in Rossini’s Semiramide and Le Prince Charmant in Massenet’s Cendrillon, and makes her Cincinnati Opera debut as Ottavia in Monteverdi’s L’incoronazione di Poppea. Past opera engagements have included Washington National Opera (including as a member of the Domingo-Cafritz Young Artist Program), Houston Grand Opera, and Glimmerglass Festival, and she has given recitals for Dallas Opera, San Francisco Opera Center, and at New York’s Morgan Library & Museum. In concert Ms. Mesko has sung Mozart’s Requiem with the National Symphony Orchestra, Prokofiev’s Alexander Nevsky with the Columbus Symphony, and Beethoven’s Symphony No. 9 with Mercury Baroque. She has been a soloist with the Baltimore Symphony Orchestra with Marin Alsop, Jeffrey Thomas and the American Bach Soloists Academy, Aspen Music Festival Chamber Orchestra with Lawrence Renes, Washington National Cathedral Choral Society, and the Arkansas, Fort Smith, and North Arkansas symphony orchestras. In 2009 Ms. Mesko was a national finalist of the Metropolitan Opera National Council Auditions, performing with The Metropolitan Opera Orchestra. She has won First Prizes in competitions including those sponsored by the National Society of Arts and Letters, Annapolis Opera, Virginia Opera, Young Texas Artists, Sun Valley Opera, and the Franco-American Vocal Academy. She is among a rare number of singers who have won the Richard F. Gold Career Grant more than once: in 2011 from Washington National Opera, and in 2009 from Central City Opera. A native of Hot Springs, Arkansas, Sarah Mesko holds a master’s degree in vocal performance from Rice University and a bachelor’s in vocal and flute performance from the University of Arkansas. She trained in Santa Fe Opera’s highly regarded apprentice program as well as San Francisco’s Merola Opera Program. 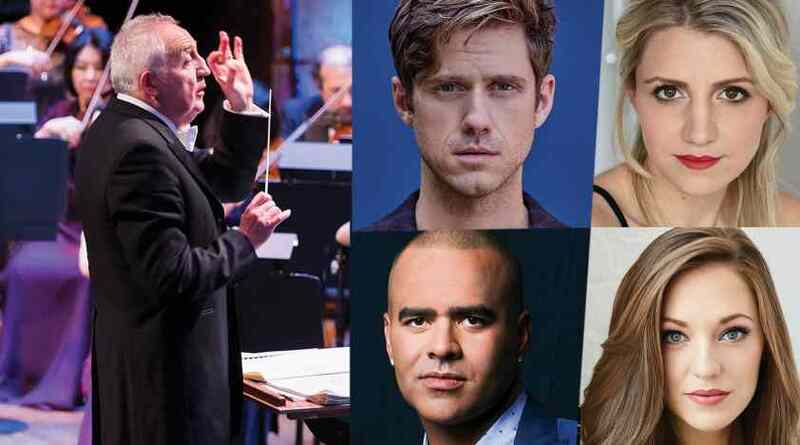 She is appearing in this concert courtesy of The Metropolitan Opera. Italian-American tenor Marco Cammarota began the 2017–18 season by returning to Arizona Opera in a role debut as Mario Cavaradossi in Puccini’s Tosca, after making his debut there last season as Pinkerton in Puccini’s Madama Butterfly. Other recent engagements include the roles of Don José in a special shortened version of Bizet’s Carmen at Washington National Opera, Macduff in Verdi’s Macbeth with the Glimmerglass Festival, Mitch in André Previn’s A Streetcar Named Desire with Kentucky Opera, and Nemorino in Donizetti’s L’elisir d’amore at Opera Santa Barbara. Mr. Cammarota has also been seen as Alfredo in Verdi’s La traviata with the Rochester Philharmonic Orchestra, Rodolfo in Puccini’s La bohème with the Owensboro and Lafayette Symphony Orchestras, and Idomeneo in AfterWARds — a retelling of Mozart’s masterpiece Idomeneo that was distilled, reformatted, and reduced to a 90-minute chamber opera. On the concert stage he has appeared as soloist with The Philadelphia Orchestra, Cincinnati Symphony Orchestra, and the Music Center at Strathmore, and has received accolades from the Giulio Gari and Gerda Lissner Foundations. Marco Cammarota is currently in his third year at the Academy of Vocal Arts (AVA), where he is studying with William Schuman. During his time at AVA, he has been seen as the Duke of Mantua in Verdi’s Rigoletto, Luigi in Puccini’s Il tabarro, Prince Sinodal in Rubenstein’s The Demon, and Avito in Montemezzi’s L’amore dei tre re. Upcoming engagements include his European debut as Macduff at l’Opéra de Limoges followed by reprises of the role at l’Opéra de Reims and l’Opéra de Massy. Tenor Chad Johnson’s recent roles include the tenor in Ensemble for the Romantic Century’s production of Van Gogh’s Ear at The Pershing Square Signature Center; Niklaus Sprink in Kevin Puts’s Silent Night with Michigan Opera Theatre, Fort Worth Opera, and Wexford Festival; Don Ottavio in Mozart’s Don Giovanni with Opera Orlando and New Orleans Opera; Tonio in Donizetti’s La Fille du regiment with Mill City Summer Opera; Gerald in Delibes’s Lakmé with Minnesota Opera and Florida Grand Opera; Lenski in Tchaikovsky’s Eugene Onegin with Florida Grand Opera; Peregrino in Rebecca Oswald’s Vía Láctea with OperaBend; Lysander in Britten’s A Midsummer Night’s Dream with Boston Lyric Opera; and Emilio in Mozart’s Il sogno di Scipione with Gotham Chamber Opera. He has appeared at Brooklyn Academy of Music and the Tanglewood Music Center. 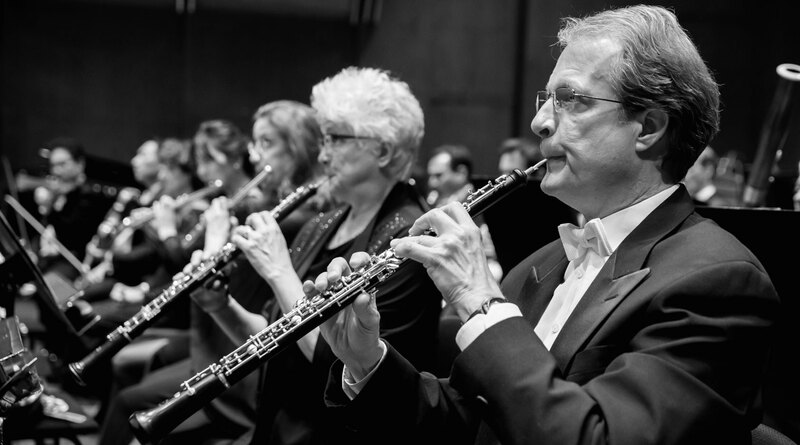 Mr. John’s concert engagements have included The Saint Paul Chamber Orchestra, Tanglewood Festival, Boston Pops, AIMS Festival, and the Atlanta, Sun Valley, Kalamazoo, and New World symphony orchestras as well as Symphony of the Americas and San Diego Chamber Orchestra and Master Chorale. Highlights include Mozart’s Coronation Mass and Haydn’s Missa in Angustiis with the New York Choral Society and the Alabama Symphony Orchestra’s New Year’s Eve concert. Chad Johnson studied at Western Michigan University, University of Kentucky, and American Institute of Musical Studies’ Opera Studio in Graz, Austria. He won the Four Cities District Metropolitan Opera National Council Auditions and First Prize in the Licia Albanese-Puccini Foundation Competition, and he was a member of leading young artist programs, including Chicago Opera Theater, Florida Grand Opera, Glimmerglass Opera, and Santa Fe Opera. Bass Alex Rosen, an Artist Diploma candidate at The Juilliard School, has quickly found a home in both concert and operatic repertoire. He sang under William Christie with Juilliard415 in concerts that featured selections from operas by Rameau and Monteverdi’s Il ballo delle ingrate. With the Juilliard Orchestra, he sang Mozart’s Requiem and the roles of Dikoj in Janáček’s Kát’a Kabanová and Sir John Falstaff in Nicolai’s The Merry Wives of Windsor, and this April he will sing Thésée in Rameau’s Hippolyte et Aricie. In 2017 he appeared in An Evening of Monteverdi with Opera Lafayette, at the Kennedy Center Terrace, and Handel’s Messiah with Portland Baroque Orchestra and Houston Symphony under the direction of Paul Agnew. This year Mr. Rosen will sing the role of Seneca in Monteverdi’s L’incoronazione di Poppea with Cincinnati Opera, as well as Haydn’s Creation and Handel’s Acis and Galatea with Les Arts Florissants. In 2019 he will join Les Arts Florissants for J.S. Bach’s St. John Passion and Opera Philadelphia for Handel’s Semele as Somnus / Cadmus. Alex Rosen is a native of La Cañada, California. Created 15 years ago in the mountains of Southern China, the Farmers’ Chorus of the Yunnan Province, led by choirmaster Guangyuan Long, comprises 50 farmers of the Miao ethnicity. None have ever received any professional training, instead absorbing the Western Baroque and bel canto singing traditions introduced by Christian missionaries in the 1930s by word of mouth over the course of generations. Based at the Xiaoshuijing village church, the choir tours greater China and collaborates with international ensembles, including the Russian Philharmonic Orchestra. Since its inception, the choir, which performs in ethnic dress indigenous to this part of the Yunnan Province, has received widespread recognition across China. Among its numerous awards are first prizes in the inaugural China Western Choral Festival, First Yunnan Nie Er Music Week, First Kunming Nie Er Cup Chorus Festival, and First National Farmers’ Chorus Festival in Guangzhou. In 2008 the chorus represented the Yunnan province as the only Miao ensemble in the CCTV Young Singers’ Match; along with a top prize, the chorus received invitations to perform at Beijing’s National Centre for the Performing Arts and the Central Conservatory of Music. The chorus has also appeared at UNESCO’s Humanity Photo Awards 2011, the Opening Ceremony of the second Nie Er Music and Chorus Week in Shanghai Grand Theatre, the Beijing Television Spring Festival Gala, the Shanghai Spring International Music Festival, and the Jianshui Charity Concert, and made two appearances on the popular television show Mama Miya on Shanghai Dragon TV. The Miao reside primarily in Xiaoshuijing, a small Fumin county village of 158 families. Missionaries introduced Christianity in 1937, and today an estimated 80% of the village population identifies as Christian. In 2007 Xiaoshuijing was designated the Pilot Village of New Rural Construction in Kunming, aiming to increase agricultural production and improve living standards. This performance marks the New York Philharmonic debut of the Farmers’ Chorus of the Yunnan Province. Starr International Foundation is the Presenting Sponsor of the Gala. Sinovision is the Media Partner of the Lunar New Year concert. The Farmers’ Chorus of the Yunnan Province’s performance is made possible by Advance Mining Limited.